Sam & Max Hit the Road is a graphic adventure video game released by LucasArts during the company's adventure games era. The game was originally released for MS-DOS in 1993 and for Mac OS in 1995. A 2002 re-release included compatibility with Windows. The game is based on the comic characters of Sam and Max, the "Freelance Police", an anthropomorphic dog and "hyperkinetic rabbity thing". The characters, created by Steve Purcell, originally debuted in a 1987 comic book series. Based on the 1989 Sam & Max comic On the Road, the duo take the case of a missing bigfoot from a nearby carnival, traveling to many Americana tourist sites to solve the mystery. 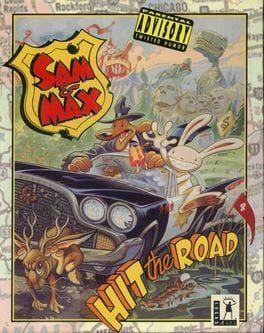 Sam & Max Hit the Road is available from 5.69 to 5.69 from 1 shops.